Why: formation of a beta keto allene by reaction of a propargyl alcohol with an alkenyl ether by heat or acid catalysis. 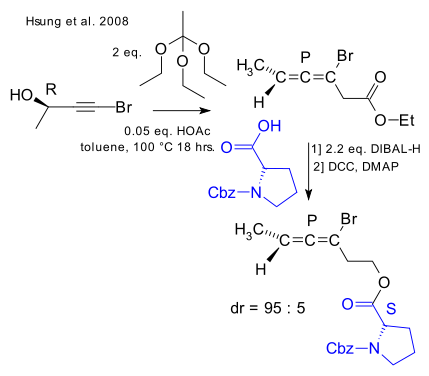 Mechanism: the basic reaction mechanism is a variation of the Claisen rearrangement not with an alkene but with an alkyne. Scope: a 2002 patent (Link) describes synthesis of a geranyl acetone.